(July 8, 2018) A couple of years ago, we introduced SoulTrackers to talented UK singer Sarah Téibo via her excellent debut single, “Steal My Joy.” The song made waves and got us excited to here more from Sarah. Well, that promise realized in her newest release, “Like a Child,” the first single from her upcoming album, Keep Walking. 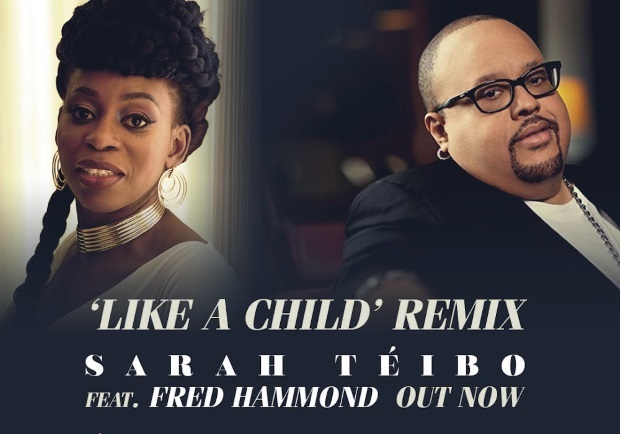 The song remix features the legendary Fred Hammond, and beautifully skirts the line between Gospel and R&B, and both singers sound just great. Check out “Like A Child” below and welcome Sarah back to SoulTracks!